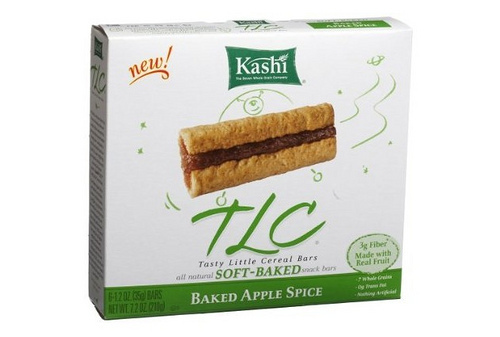 This post is filed under Apple Spice, Cereal Bar, Dry, Hall of Shame (Taste), Kashi, Vegetarian. I think TLC actually stands for something more like “Tastes like crap”. Agreed with the scale needing to be changed to 1-10. Kashi does make tasty food. I for one am in stark disagreement with all previous comments. What other foods do you find tasteless from Kashi? i really like your blog, but what’s with the .5’s all the time? you made up the scale of 1-5, if you give things 1.5/4.5 all the time, why not rate 1-10? I’ve only had their breakfast cereal. I didn’t like it when Post made it and it was called Grape Nuts. The fact that they traveled the world over, as their commercials depict, tasting all manner of exotic fruits and berries and still came up with what I believe is essentially a box of gravel, makes me wonder if these folks are really as concerned about us as they claim to be. I’m starting to think these huge touchy-feely conglomerates are all talk. I always thought their products weren’t very tasty. 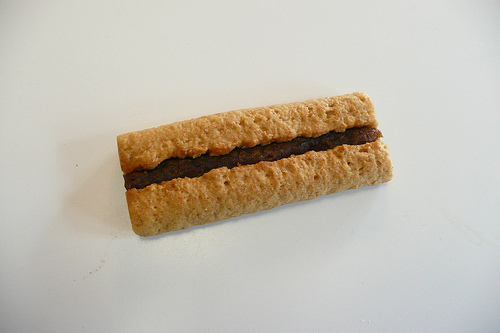 ]: I do like one of their cookies though, but it definitely doesn’t replace other brands. That’s kind of the problem with Kashi…you wanna be a fan but they make it hard some times. Where do you buy most of your products?